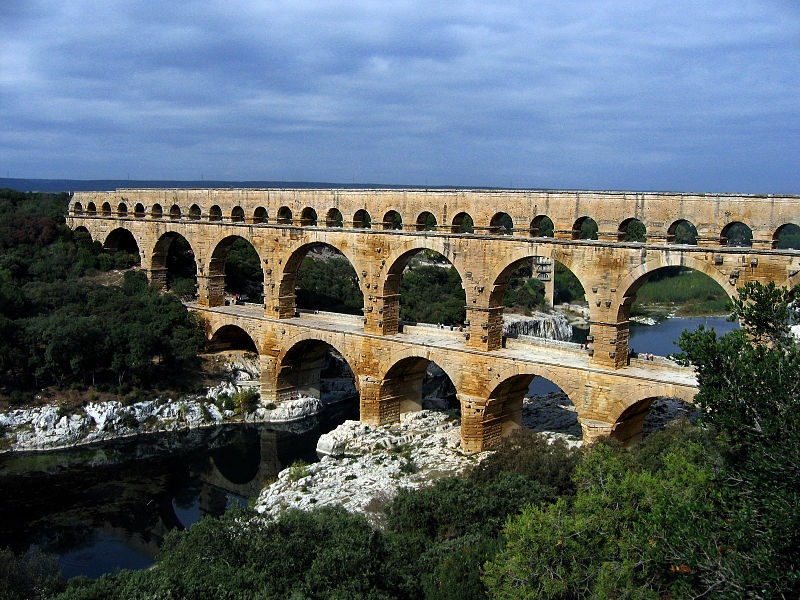 Pont du Gard (Bridge over the Gard River) is a monumental bridge-aqueduct built by the Romans during the first century and is part of the UNESCO World Heritage. It was part of a 30-mile long aqueduct with a remarkable constant slope of 15 inches per mile. The bridge was built without mortar and with local stones, some weighing 6 tons, except for the aqueduct area at the top, where smaller stones and mortar were used. Extensive restoration work took place recently using Saint Astier® Natural Hydraulic Limes for the aqueduct and other various stones.